Sue, 59 has been living with a terminal illness for 18 months and has struggled with social isolation since life altering surgery and infection caused her to lose a leg. 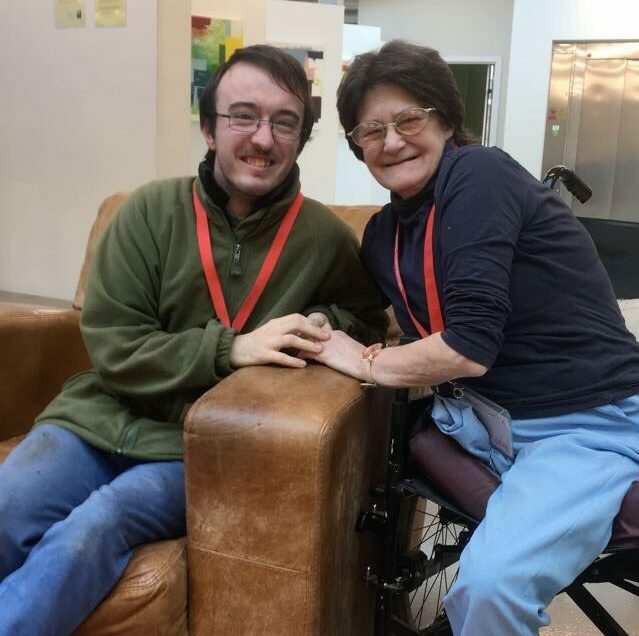 Sue and her son, Tristan, 20, have found a community of support at Mustard Tree, helping them to make the most of the time she has left. “In 2009 I was diagnosed with cancer and started my chemotherapy the same day my son left primary school. I spent his 11th birthday in the Christies,” said Sue. “I felt completely isolated. Bringing up my son on my own, all I was doing was cooking, cleaning, doing housework, repeat, seeing no one. I felt like I had nothing of my own trapped in the house. I couldn’t work while I was bringing up Tristan. Then when Tristan was old enough was when things started to go wrong with my health and I just felt like everything was snatched from me,” said Sue. Sue is now living with terminal cancer, but she is determined to make the most of the time she has left. Joining Mustard Tree has been a lifeline for both her and Tristan. “Getting involved with Mustard Tree has helped keep me going. I needed something to get me out of bed and keep me focused on something else. I wanted to show I’m more than just my health problems or disability. I had wanted to get involved somewhere, but always struggled because of accessibility in my wheelchair. At Mustard Tree I can fly round, go upstairs in the lift and retain my independence. I love it,” said Sue. “I am learning about working in Retail, doing something useful. I am serving and helping customers in the shop – which I really enjoy. Here I feel friendship. Mustard Tree means I can meet people, get out of the house and meet people. It has made such a difference to my quality of life.